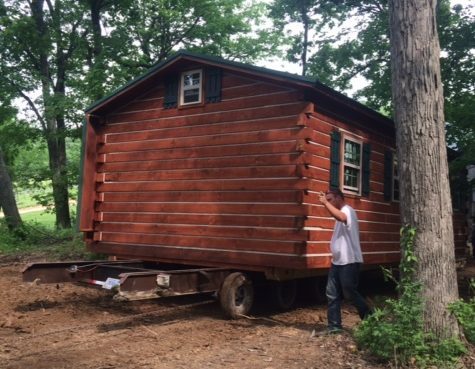 The cabin is lifted into its final nature trail destination. This tiny cabin is ideal for couples or small families. Nestled in the woods where goats roam to trim the grass and shubbery, the kids can explore nature and farm animals while Mom and Dad have a comfy glamorous camping “glamping” adventure. This cabin was Amish made. The expert Amish craftsmen rode 50 miles by horse and buggy to put in the finishing touches on the woodworking. 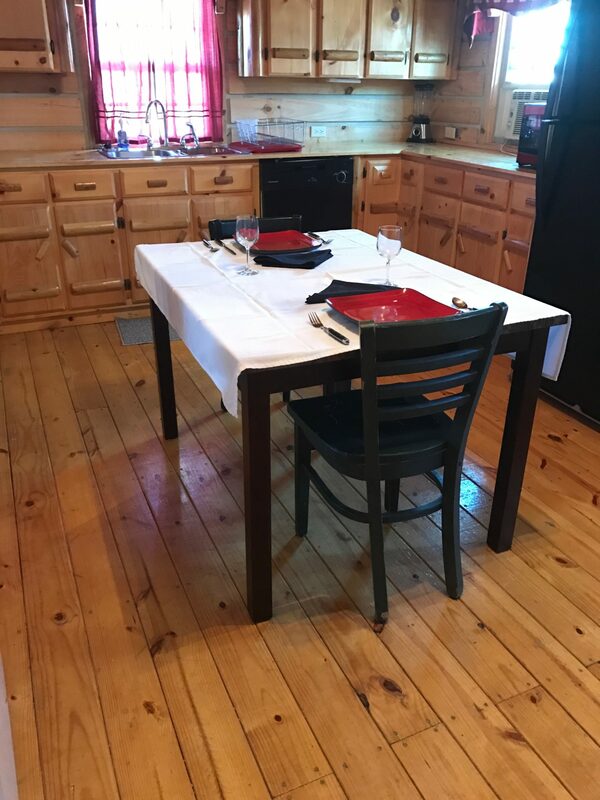 Afterward, we decked the kitchen out with appliances, full sized refrigerator, gas oven/stove washer dryer combo, dishwasher and a full bath with a shower. Our heartfelt thanks to the wonderful family from Philadelphia who financed this quaint little piece of art in nature for the rest of us to enjoy. 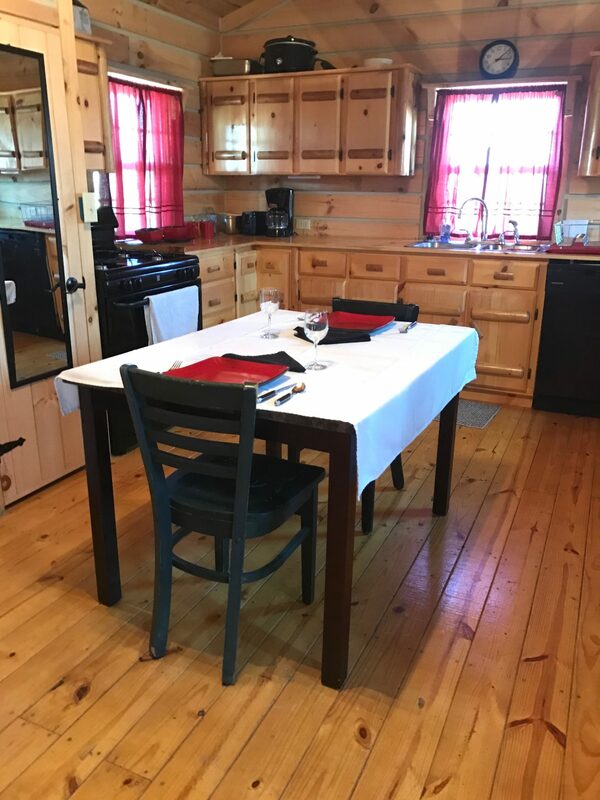 Living quarters includes full-sized kitchen dinette set for four. Ground level queen bedroom. Upstairs short loft area with ladder latch steps for kids. Full bath. Call for availability and pricing. 812-295-6235.